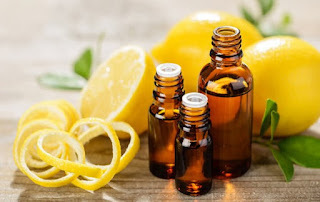 Whether you suffer from a chronic illness, or you simply wish to live a healthier lifestyle, there are a number of undeniable benefits of regularly using essential oils. Essential oils are known to boost your immune system naturally, which is important for the prevention and mitigation of certain illnesses. But, what are essential oils? Essential oils are highly concentrated versions of natural oils found in plants. The most popular way to extract these oils is through a process called distillation, usually done through steam or water. Many parts of the plants are used in distillation, including the roots, leaves, stems, flowers and bark. When distillation is complete, what's left is a high concentration portion of essential oil which has all the properties of the plant it's from. They have been used throughout history in different cultures for their medical and therapeutic benefits. While in the plant, these oils help against predators and diseases, and they can have much the same effect on humans. It's important to have a strong immune system to avoid illness and disease. Not all germs and bacteria are equal when it comes to health. Some germs and bacteria are naturally present in our bodies and help us survive. Most of the bacteria found on the skin and in our digestive systems, for instance, are harmless and beneficial. However, the human body can be exposed to bad germs as well and our immune system is the body’s military, working to prevent invasion. The soldiers in this military are our white blood cells. Free radicals also work against our immune system. They are a contributing factor to many diseases and are created (mainly) by toxins, radiation and other external forces. They damage immune cells and their communication pathways. Antioxidants counter free radicals. Lemon can have strong detoxifying effects on the body, helping it get rid of toxic build up. In fact, lemon water has gained popularity amongst models and celebrities as an easy way to detoxify the body! The less toxic your body is, the less free radicals there are to put a strain on your immune system and potentially cause acute or chronic diseases. Furthermore, lemon also helps to increase the production of white blood cells which is another plus for immune function. Take advantage of lemon essential oil’s many benefits by adding a few drops to a glass of water each morning. Sleep deprivation is one of the causes of a weak immune system because certain disease fighting microorganisms are only created or released while we sleep. This is why sometimes when you’re ill, all you really need is a good night’s rest. Stress can also have a negative effect on your immunity but with lavender essential oil you can kill two birds with one stone because it encourages better quality sleep, and is a known stress reliever. Furthermore, many studies have shown that lavender oil helps your body produce three of the most powerful antioxidants: glutathione, catalase, and superoxide dismutase, which are important for proper immune function. Lavender can ingested by pouring a few drops in your tea before bed or inhaling using a diffuser of your choice. Rosemary aids the immune system by working to detoxify the excretory ducts and organs, as well as the hepatobiliary system which includes the liver, bile ducts and gallbladder. Furthermore, a 2007 study by Meikai University found that subjects inhaling rosemary oil showed a spike in free radical scavenging which is an important immune function for the prevention of diseases, especially those caused by free radicals. Access all the benefits of rosemary essential oil through inhalation by using a diffuser. Frankincense has been around for over 5000 years and though it has many uses, today we focus on its ability to boost the immune system. Frankincense oil boosts immunity by stimulating the production of white blood cells and reducing inflammation - something many doctors believe to be the primary risk factor for many chronic diseases. Boost your system using frankincense essential oil by pouring a few drops under your tongue or diffusing it in your bedroom. Most essential oils help your immune system through their antioxidant properties and ability to increase white blood cell production. Getting started is easy and affordable as many of the more popular ones such as lemon and lavender are very easy to find, and there is also a wealth of information and personal testimonies available online if you want to read deeper.